Founded in 1935, Hornvarefabrikken – The Hornware Factory – was set up by Peter Husted, a craftsman and visionary with great ambitions. 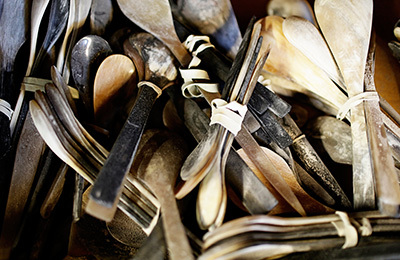 He designed and made many of the spoons and tableware that are still sold by Hornvarefabrikken today. In 2007 designer Sara Brunn Buch acquired Hornvarefabrikken with the condition that she carry on the tradition of first-rate craftsmanship. 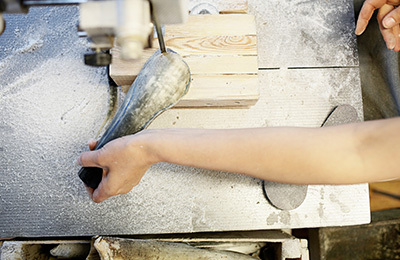 To this day they’re still operating in Bøvlingbjerg, Denmark where they make their hornware by hand in a small set of workshops. Acquired by designer Sara Brunn Buch in 2007, Hornvarefabrikken still continue to pursue and value traditional craftsmanship. Recently they named their newest collection after this exact philosophy, ‘Tradition’ consists of tableware, accessories, interior and jewellery items that are all produced in Hornvarefabrikken’s workshop in Bøvlingbjerg, Denmark by their trained craftsman. 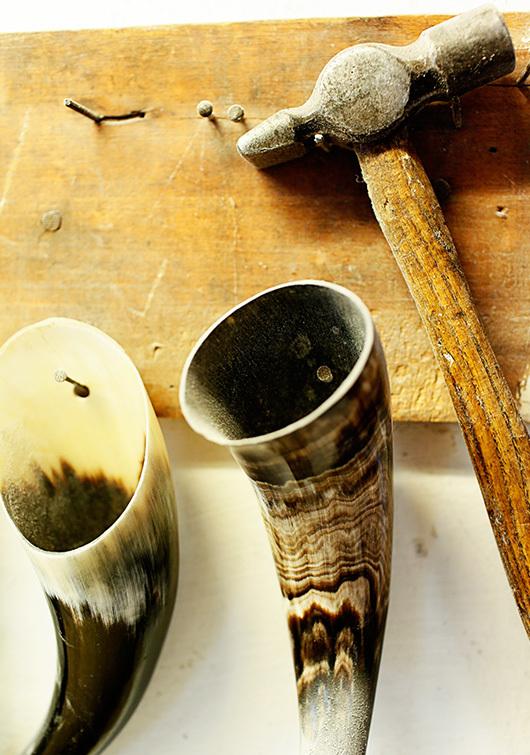 Here in this feature you get a glimpse of the process inside the workshop and what these traditional methods look like in Bøvlingbjerg. 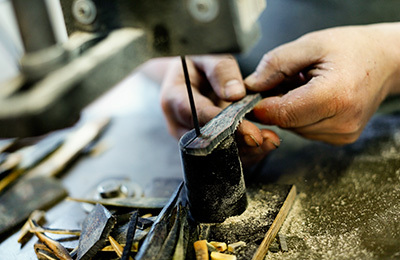 Committed to respecting craftsmanship and the preservation of practical knowledge built over many decades, new machines have been introduced to reduce production times but the work processes are much the same as they were two hundred years ago. 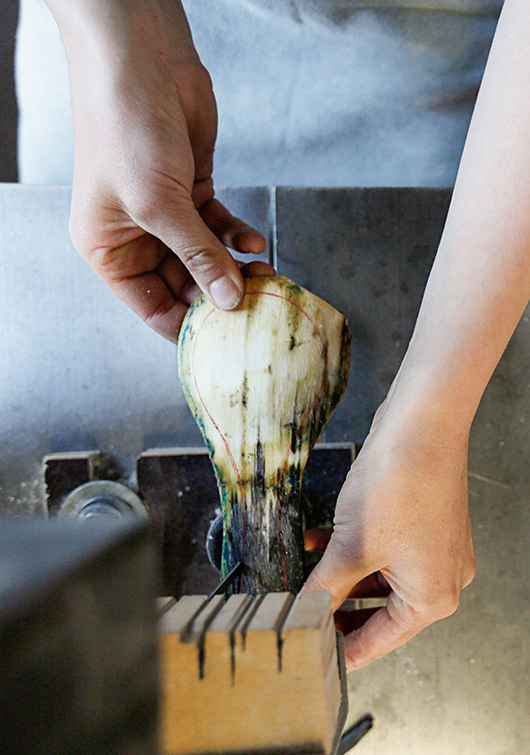 Once the craftsman finds a suitable piece of horn, he or she draws a spoon outline onto the surface and cuts out the design using a band saw. They then grind it in to a uniform thickness using sandpaper, and create a handle by soaking the blank in hot oil for a few minutes. This turns the horn soft and means it can be manipulated. After drying they go through many different processes of finishing, from sanding to polishing, the final object is then cleaned and is ready to use. We hope you enjoy this selection of imagery from the workshop, and will go on to check out our range in the shop. Not only are these objects functional, they also have lots of character and are full of charm. Sara cutting the horn on the band saw at Hornvarefabrikken’s workshop in Bøvlingbjerg, Denmark. 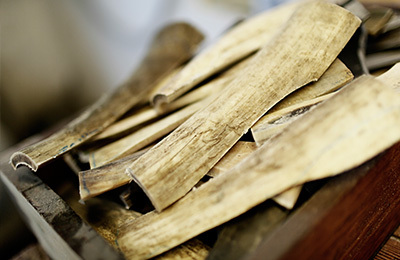 Horn blanks that have been roughly cut using a band saw, ready to be moved on to the next stage of the making process. 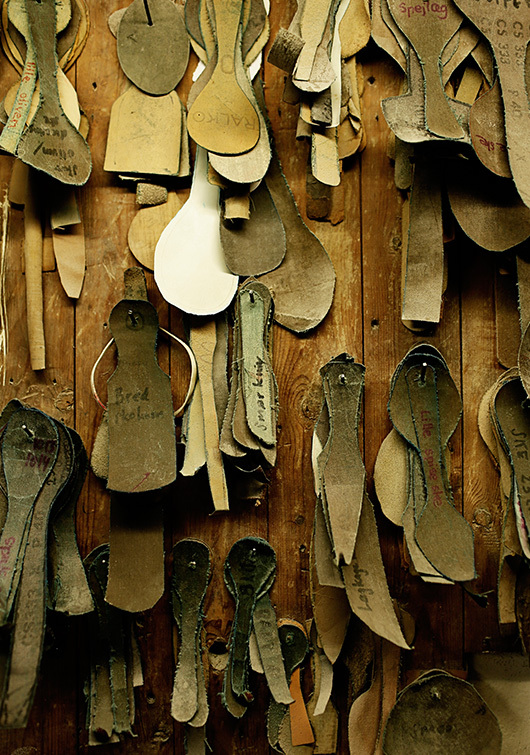 Leather templates hanging on the wall, a cut spoon ready to be worked on. Lowering the spoon in to 165 degree celsius hot oil for a few minutes. 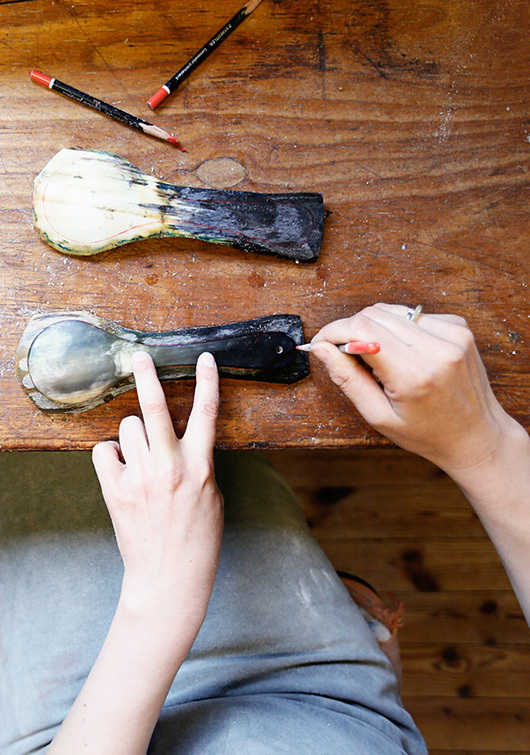 The horn spoon becomes soft as leather and can be manipulated easily. 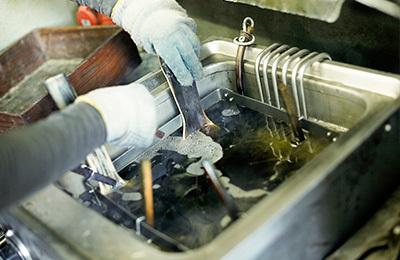 ‘Rubbing’ a spoon means they grind it to a uniform thickness using very course sandpaper. 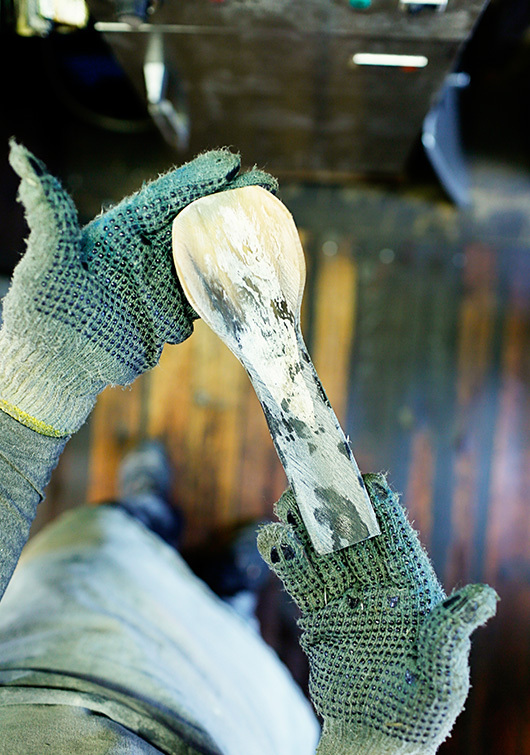 The spoon has now been given its final shape, but there’s still some excess material that needs to be removed. They use a finished spoon as a model for this job. 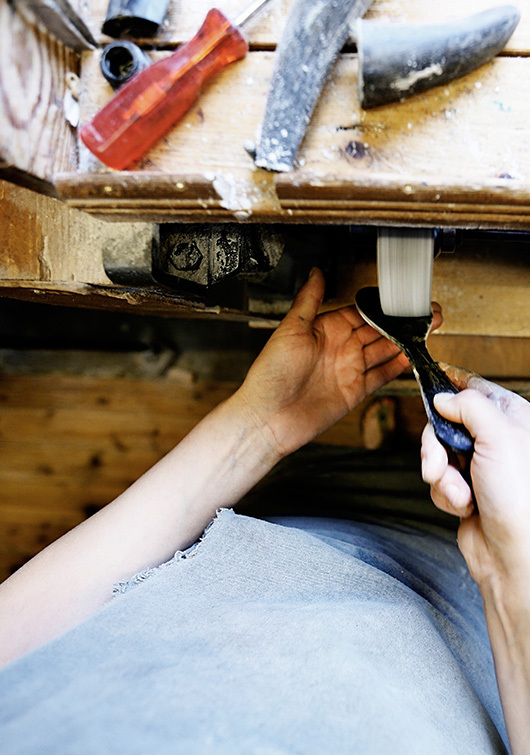 Cutting off any excess using a bandsaw, so that only a simple spoon is left. 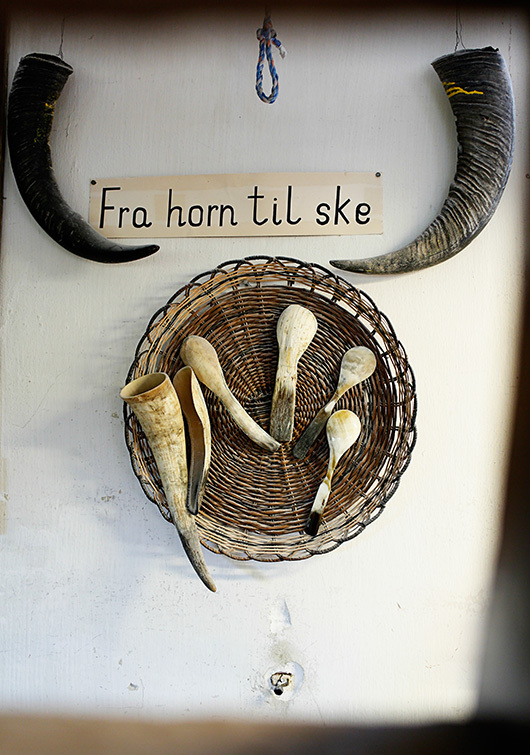 Cut-offs from the horn spoons and products that have been manufactured at Hornvarefabrikken in Bøvlingbjerg, Denmark. 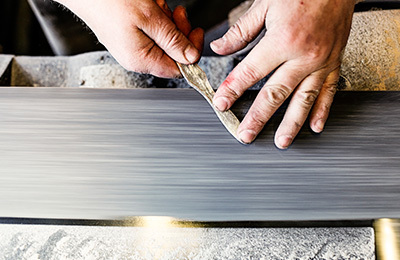 The craftsmen at Hornvarefabrikken sand the spoon to its final form, starting with very course sandpaper and progressing to the finest grains. 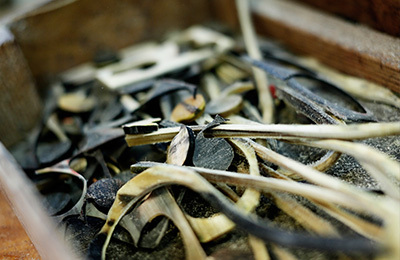 A selection of horn cutlery ready to be polished and cleaned. 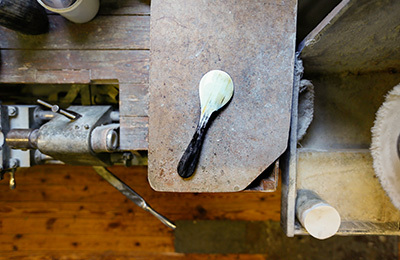 The final spoon ready to be used and to last a lifetime. 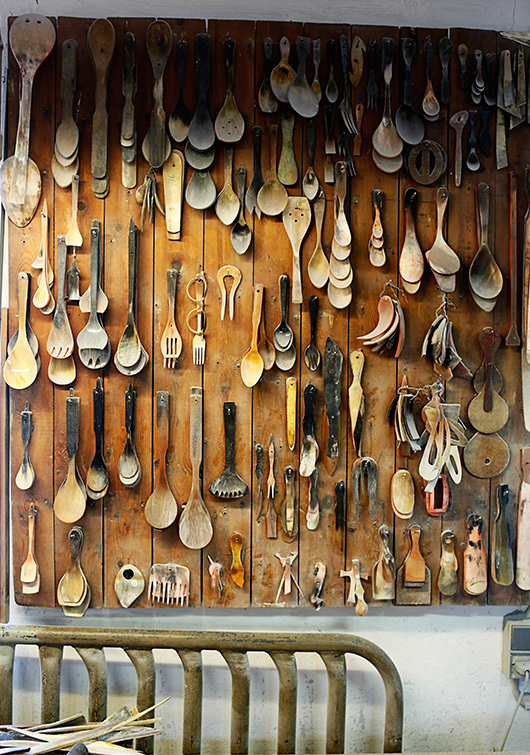 A wall of historic spoons and accessories, some are used as templates when finishing the new products. 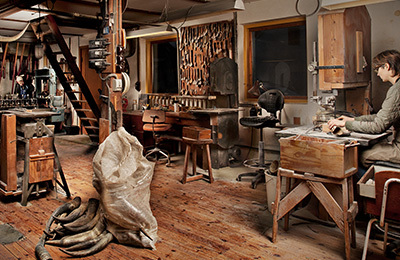 A look inside Hornvarefabrikken’s workshop in Bøvlingbjerg, Denmark.